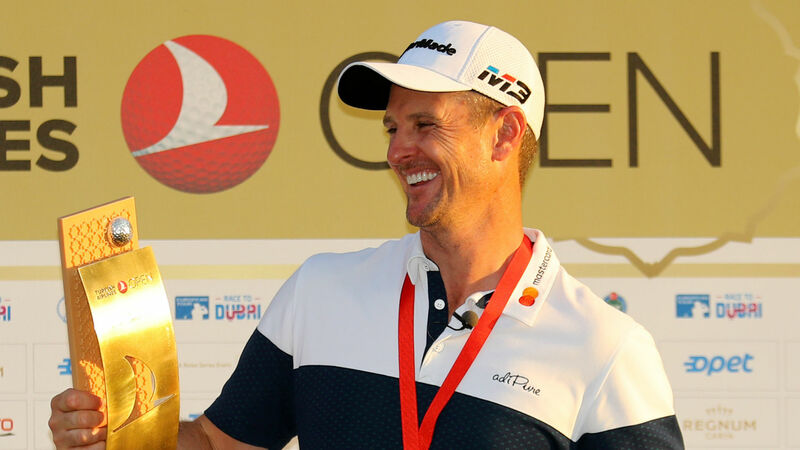 Justin Rose reveled in a “very special” victory at the Turkish Airlines Open that saw him successfully defend his 2017 title and return to world number one. It is the first time Rose has retained a title in his career and he was delighted to get over the line again. “There were moments out there where it looked like both of us weren’t holding our nerve very well, it was quite tricky to putt coming in, and 18 claimed a scalp at the end, but that’s a treacherous green and one you definitely need to respect,” Rose told the European Tour website. “It was a fun battle. Obviously I got myself two ahead with a few to play. Haotong made a fantastic eagle at 15, the 16th we were both in there and I got my nose in front again. “Disappointing for me to finish five, five really. The five at 18 you can somewhat live with, the five at 17 I should have cleaned that hole up a bit easier than I did. But it ended up okay in the end. “[It is] really important [to defend the title], it’s taken me long enough to do it. Maybe I haven’t won enough tournaments to give myself enough opportunities to defend. “This golf course obviously suits my eye and when you find a course that suits your eye you feel like you should give yourself a few opportunities to win there. “Yes, it’s really nice, that’s just something to be proud of,” he added. “It doesn’t mean much or give you much.